Based on the busy Market Street in Pocklington, Hunters Estate Agents covers Pocklington, Market Weighton and the surrounding East Yorkshire villages. First opening its doors in 2009 as personal agents, the successful branch expanded to its now thriving office in the heart of the town offering a unique, personal, friendly and professional service to each and every one of our prospective clients. Our mission is simple, to become the area’s favourite estate agent, providing excellent customer service and unrivalled proactivity. We are very proud of our 100% customer satisfaction rating which we have achieved now for the third year running. So glad we moved to Hunters from another agent who talked a good talk but did not deliver. Professional yet friendly, knowledgeable and helpful. Full asking price achieved. Hunters do what their marketing says; “we’re here to get you there” and they certainly did that as we are moving there next week! It is not possible to thank any of you individually as you have all been involved in the Watson saga. You have all been brilliant, cajoling and consoling us at various stages. We cannot fault your professionalism. Thank you so much and we have sung your praises to lots of people. Just a brief note to say a really big thank you for all your professionalism and support. You have all been exemplary. Also, a special thanks to Natalie. Thank you for all your help, support and guidance, it has been much appreciated. A truly professional service. Hunters Pocklington have sold 2 houses for me & my husband, both sold at full asking price too!! There is nothing that they wouldn't do for us, they really were there every step of the way and worked very hard for us! Nothing was any bother. If we ever sell again there is no question that it would be the team at Hunters Pocklington that we would use. Click to view preferred suppliers for Hunters Pocklington. 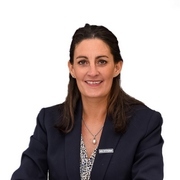 Karen took over the Hunters franchise in 2010 following on from a successful career in banking and financial advice. Having lived and worked in the Pocklington area for many years, her knowledge of the local area is a great advantage in helping clients find their perfect home. 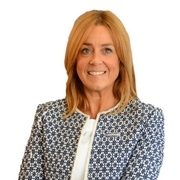 Karen’s main role as head of the business is appraising properties in readiness for marketing and offering invaluable advice, with her caring professional and friendly service. Janine has lived in Pocklington since 2001, therefore has an in-depth knowledge of the local area. She joined the team after working in customer service within the banking industry for 24 years. Janine actually started up her own business model as a Home Stager and has such proved to be invaluable in giving vendors advice on how to make the most of their homes for those all-important first impressions. Janine is a dedicated member of the team and receives outstanding customer feedback for her viewing techniques. Natalie joined us in May 2015 on an apprenticeship scheme, after leaving college with a BTEC level three, triple distinction star. Natalie has quickly become an experienced and valued member of the team, passionate about customer service, running our marketing and social media campaigns and keeping us all up to date with her knowledge of the latest technology. Natalie has lived in the Pocklington area all her life and has an excellent knowledge of the local community. 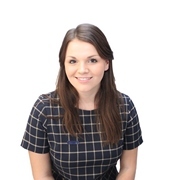 Sophie joined the team in 2017 to relaunch our lettings department, which she has soon developed into a growing success. She comes to us with a wealth of experience within the customer service industry and has proved a real asset to the team, having also lived & worked in the Pocklington area for many years. Pocklington is an ever-expanding quaint market town situated at the foot of the Yorkshire Wolds, located about 13 miles east of York. The town tracks back to around 650AD, and is known for having prosperity in these times due to its major produce and trade of wool, which was England’s principal export in the earlier middle ages. The popular town offers an impressive high street, serving up a full selection of local amenities, boutique shops, bespoke cafes, and much more. The town is also host to some great restaurants and bars for those who like to take a trip to the town centre after dark. Pocklington is known for its Burnby Hall Gardens, in which are home to the national collection of Hardy Water Lilies. As well as this, visitors are known to take a trip to Milington Wood, which is a site of special scientific interest. If you are a fan of the arts, the Pocklington Arts Centre opened in 2000, and since then has being offering a mixed programme of film, drama, music dance, workshops and exhibitions. If it more the festivals you are a fan of, Pocklington runs an annual Pocktoberfest, where you can indulge in a fine selection of ales. Pocklington is conveniently located between the A64 and M62, meaning it is fast becoming a perfect commuter town for York, Leeds and Hull with great access to main line rail links in nearby Howden, Brough and York. With the ease of access to surrounding cities and towns, the option for local schools is huge, with the Pocklington area offering six well-established infant and junior schools. Pocklington is surrounded by many beautiful villages, with picturesque views over the Yorkshire Wolds and The Vale of York, making the town itself and the surrounding areas, very desirable places to buy or rent a full range of property types. Hunters Pocklington also covers the near by town of Market Weighton and its many surrounding villages. We are proud to offer a wide selection of properties, from our equestrian facilities, acreage properties and homes with indoor pools, to our town houses, bungalows and modest family homes. So if you are looking for property to buy/rent in the Pocklington/market Weighton area, get in touch with our local office today.